The United States military is trying to outmatch other armies around the world by making use of stratospheric balloons which would ride out the winds in order to never have the requirement of coming down. Apparently, the engineering team on the balloon has installed a sensor on the balloon which has the ability to spot the current wind direction at any given time and from several miles away. This ability of the balloon would allow DARPA’s new toy (the surveillance balloon) to hover around at the extreme edge of space in a single spot for an indefinite period of time. There is no doubt about the fact the idea of having a giant surveillance balloon which is able to float really high (like above the Earth kind of high) for an indefinite amount of time is really a tantalizing one. Modern technologies such as solar power would actually enable all such stratospheric surveillance balloons to go up into the air and operate pretty much like satellites, albeit low-cost ones which are placed at the edge of space. From there, such balloons would have the ability to provide reasonable communication channels in disaster-hit and/or remote areas. Such surveillance balloons in space could also follow hurricanes. Some believe that these balloons could even help in monitoring pollution levels at sea. In fact, one day, these edge-of-space surveillance balloons may come in handy to take tourists out into near-space adventures (in the form of trips) so that they too are able to see the exact curvature of this planet we call earth. Of course, the idea of there being surveillance balloons in space is not a new one. In fact, NASA flew the original stratospheric surveillance balloons back in the 1950s. Moreover, the agency still makes good use of them for its various science missions. There is also Project Loon that is owned by Alphabet, Google’s current parent company. Project Loon did see some success in deploying such surveillance balloons in order to provide people with mobile communications in Puerto Rico in the aftermath of the horrific Hurricane Maria. Now we come to the part where we discuss the snag, and a major one, with using near-space surveillance balloons. The current surveillance balloons can only shift with the present wind conditions. Additionally, they only have the ability to stay in a single area for a small number of days at any given time. Most experts consider the stratosphere to start at somewhere around 60,000 feet or 18300 meters up. That is the actual height of the stratosphere. Now, at such a height, the wind typically blows in different directions based on various different altitudes. So theoretically speaking, it should not be impossible for these surveillance balloons and indeed for people who design them to find any given wind blowing in any given direction by simply changing the altitude. However, the progress is still happening at a gradual pace while better data and machine learning techniques are helping to improve navigation. 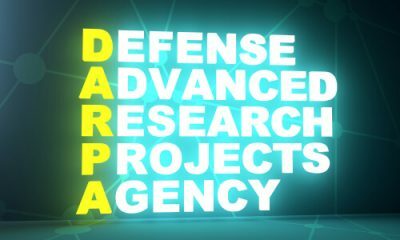 The United States military research wing, DARPA, now believes that it may have found a solution to crack open the problem. 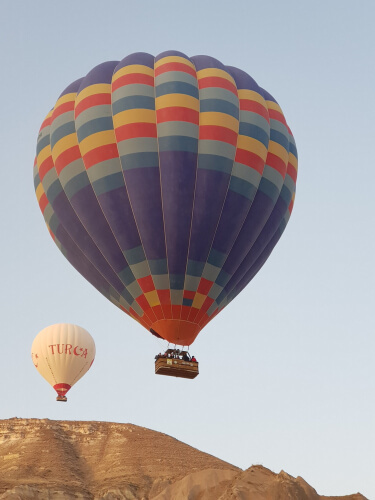 More specifically, currently DAPRA is testing a special wind sensor which has the potential of allowing devices present in its ALTA (Adaptable Lighter-Than-Air) balloon program to not only spot a given wind speed but also the direction of the wind speed from very large distances. After measuring and recording all of that information, the sensor has the ability to make all the necessary altitude adjustments to stay at a single spot. It is true that DARPA had begun its work on the ALTA program quite some time ago. However, DARPA only revealed the existence of the program back in September. Alex Walan, the project manager at ALTA, recently said that by flying at higher altitudes, DARPA had hoped to take full advantage of a wider range of blowing winds. Not only that, ALTA would actually operate at an altitude higher than Project Loon at about 22900 meters to 27400 meters or 75000 to 90000 feet or 14 to 17 miles. These are heights where wind speed and direction are fairly less predictable. Of course, that should not cause a problem for future balloons if only they are able to exactly where all the favorable and exploitable winds are. DARPA is calling the new sensor the Strat-OAWL which stands for the term Stratospheric Optical Autocovariance Wind Lidar. Without going into the details of what that term actually means, readers should know that this new wind sensor is actually the latest version of another wind sensor that DARPA had some company originally design for various other NASA satellites. The Strat-OAWL has the ability to shine pulses of accurate laser light directly into the air. Ball Aerospace is the company that is behind Strat-OAWL. In any case, the Strat-OAWL works in a way where a small fraction of the light beam is actually reflected back. Then, a telescope gathers the reflected laser light beam. After that, the system changes the actual wavelength of the returned reflected light. And it does that based on how fast the air is moving from where the reflected light bounced back. This action of changing the wavelength based on some parameter is known in the scientific community as the Doppler shift. The new OAWL sensor working behind the scenes can analyze this Doppler shift and then determine the direction and speed of the desired wind. OAWL is unlike any other wind sensor that is currently available. It is different in the sense that it has the ability to look in a total of two directions at any given time. That ability gives it an enhanced indication of wind direction and speed. One lidar systems engineer working at the Ball Aerospace company, Sara Tucker, is of the opinion that OAWL works in a way that is akin to looking outside with two eyes open instead of just one.